Perfect for your little girl's corner, bedroom and perfect as Bridal gift and baby shower gift too. 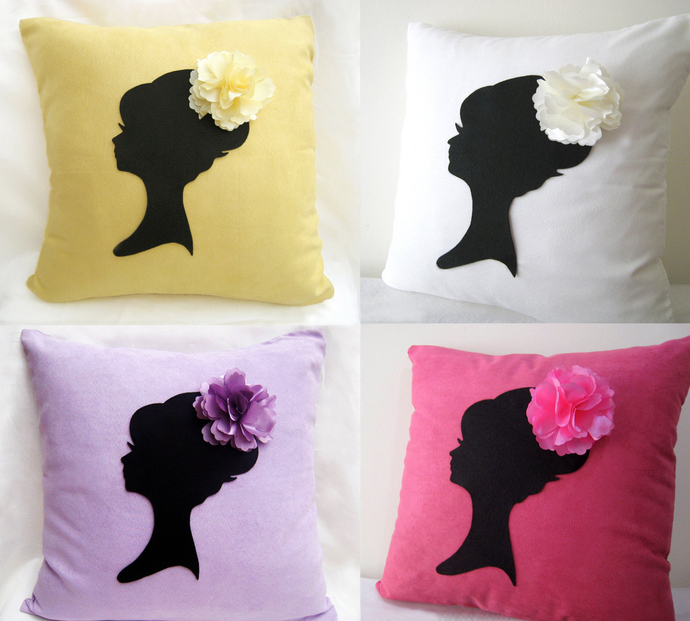 *Please allow 2--5 days for hand-sewing in conjunction of my other orders. **Listing for Pillow Cover Only, without insert. Any insert of 17" x 17" or 16" x 16" fits. 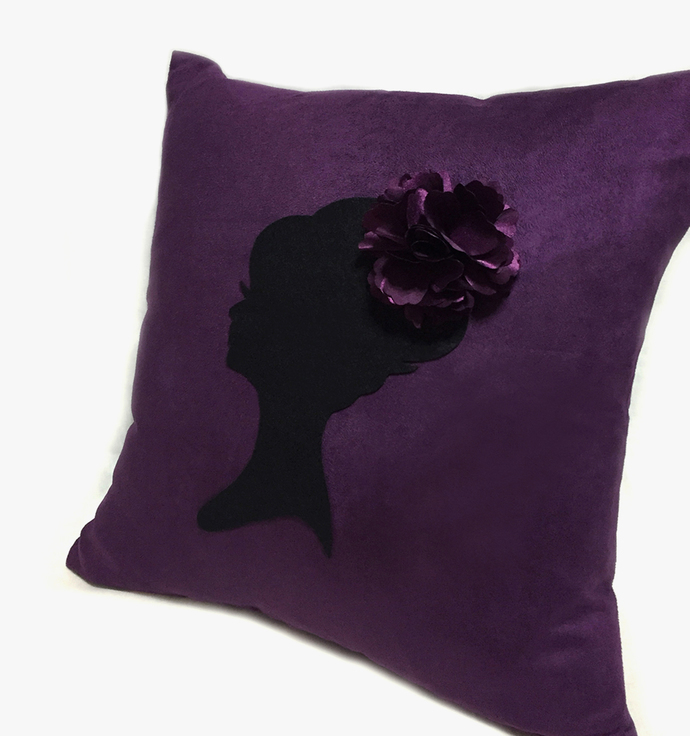 Lady is hand cut of recycled felt, pretty flower headpiece is handmade of ribbon material. Hand sewn stitch by stitch with love on the front panel of cushion cover only. Back panel is just original suede fabric. 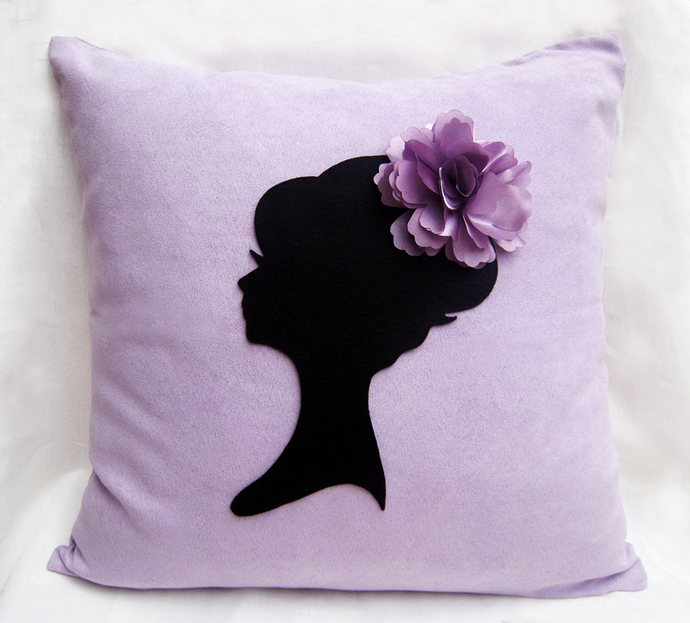 **It is 16" X 16", fabric is comfy soft Suede in Lavender, with invisible zip at the bottom for insert removal. **Other base colors are available, please see the pictures. Please tell me what base color you want!! **Aqua Blue, Ice Blue, Champagne version are available, please contact me. *Hand wash in cold water and Hang to dry. *Do not bleach. *Do not tumble dry or twist. *Do not cut any stitch. *Need not to iron. *Do not iron on the floral rosette.